Isn't it amazing how fast time moves by. Neha, Pankhuri and me took up the Project Pan challenge at the beginning of this year and we are already 8 weeks into it. How has it been so far you ask? In terms of the No Buy, I have been good and not bought any makeup since January. I was gifted a compact powder and a lipstick (late wedding gift) but I am guessing that doesn't count because I didn't buy it. 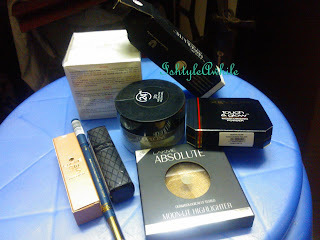 In terms of using up the products, its been good and not so good. I don't wear makeup every day and I realise that to actually use up makeup, I should probably be using it a lot more often than I am currently. I wear makeup for shoots, for functions or when I am doing a particular makeup tutorial for the blog (which I have not done in AGES). There are 10 products in my Project Pan and I have very sincerely been using only these 10 products as far as possible for every shoot and function. It been fun to try and work out various combinations using only these products and also quite challenging to not get bored of it. The best part is that when I had to travel, I didn't have to think about what makeup to pack, because I just threw in this kit that already had everything I needed and added an extra compact powder. The Maybelline Fit Me foundation is doing so well even in the Chennai heat. My skin has been pretty good and so I just need very little to even out the skintone. Combined with the MAC concealer (which I know I will be hitting pan soon), I have a flawless base ready to go. The days when it is too hot, I reach for only the concealer and compact powder. This eyeshadow palette from Becca is definitely a favourite. I mean I literally have worn it for every shoot or function in the past 3 months and worn it with a cream eyeshadow underneath. I haven;t felt the need to reach out for my Coastal Scents palette at all! 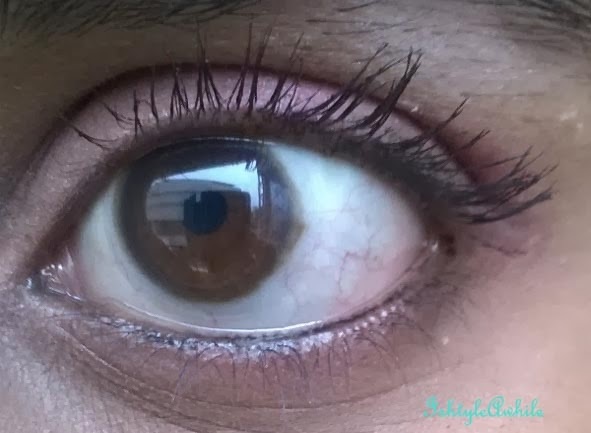 The Nykaa eyemKajal is great and I love how easily it glides on. The only issue is I feel like I need to sharpen it ever so often because it is so creamy that it becomes blunt with just 2 uses. Lash Sensational mascara from Maybelline may just have overtaken my all time favourite the Maybelline Hypercurl mascara for top place. I usually recommend the Hypercurl to everyone (Neha can vouch for that) but now I have a new recommendation. If you are still not convinced, then just wait for my review that will be up in a few weeks. Overall I haven't yet hit pan on any product yet, but the night is still young, I mean the year has just begun, so lets see how it progresses. Make sure to check out Neha's and Pankhuri's posts are well for their updates on the Project Pan.